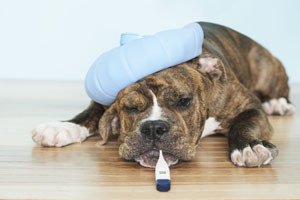 All-species fitness: It's flu season! Have you had your flu shot this year? Flu season is just starting and sources such as World Health Organization recommend it for the eldest and youngest members of society (though some US sources recommend that everyone over 6 months of age get the vaccine). 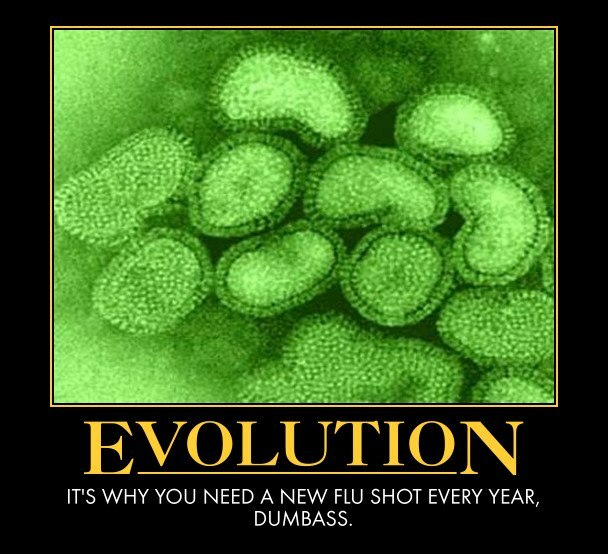 But really I want to focus here on the evolution of the virus that causes influenza (flu). It is one of science's best-known pathogens, is found in birds and other mammals, as well as humans, and is a continual source of concern to the public health community because it is constantly evolving. flu involves aches and fever, not just a runny nose! Their ability to mutate (change) and evolve rapidly and potentially into a form that can be passed easily from human to human, while impressive from a natural selection viewpoint, provides a new and menacing challenge that keeps flu vaccine makers busy every year. The killer bird flu called (H5N1) that is currently in the news has killed 150 million birds, but so far it has infected only around 200 people. 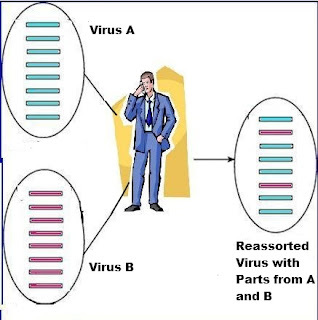 Currently, H5N1 can only spread "bird-to-bird" and, in rare instances, bird-to-human. 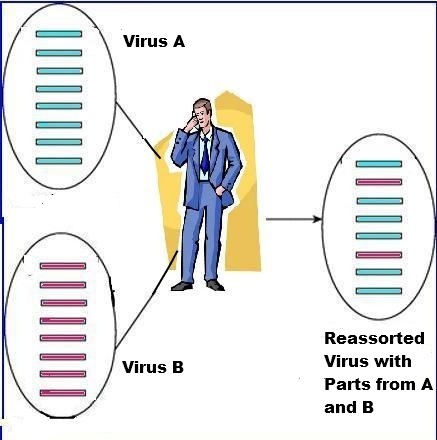 However, virus genes not only mutate rapidly; they also combine with other viruses, even under natural conditions, so scientists are testing the feasibility of a new strain that can spread from human to human. Carl Zimmer's interesting June 2012 post ("The Evolution of Bird Flu, and the Race to Keep Up") highlight the latest efforts and concerns of scientists trying to understand the mechanisms of transmission of H5N1 and the probability of it mutating to infect humans and other mammals. One experiment introduced mutations into the H5N1 virus that generated a new strain that could spread through the air between mammals (in this case, ferrets). A second study combined the H5N1 genes with those of a human flu virus and also succeeded in creating a new version of the virus that spread between ferrets. The major worry is the potential of this killer strain to combine genetically with a human-transmitted virus to become a new strain that passes from human to human, sparking a deadly, global pandemic. Just kidding. The research to determine how transmission to humans of the more virulent flu strains could occur is ongoing, yet as Zimmer's article and the references (below) it cites explain, the scientists still don't know how likely it is that this would happen naturally. It depends a lot on evolution! Can science conquer the flu? Join a live chat with Science magazine at 3 p.m. EST on Thursday, December 6th to find out. 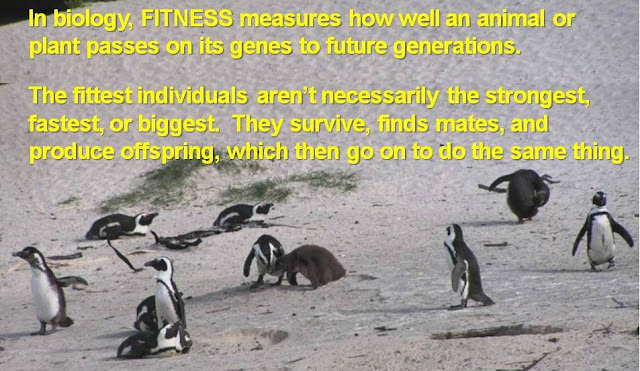 Sexual selection: are you man enough? Big Cats on air this week!